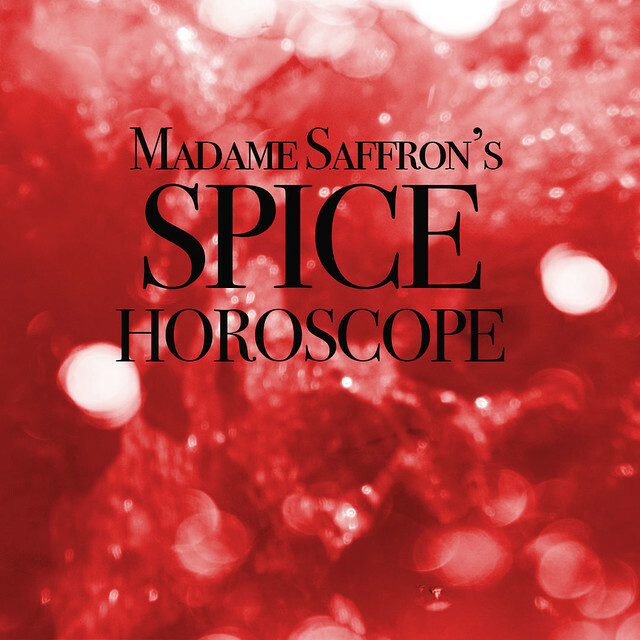 This month our on staff clairvoyant, Madame Saffron, presents you with the best blend to use to seduce your Valentine according to their sign! So find their sign below and discover what blend will speak to their heart!! If your lover is an Aries you better put them in the spotlight. Yeah, sure we both know it’s not all about them, but if you wanna get lucky (or form a meaningful lasting relationship with this person) you best be putting them first! But don’t worry this is a two-way street, if you give them all your love and attention, they’ll be sure to give it all back and then some. My advice to you is to make your Aries heartthrob a delightful breakfast of Chai Waffles. Nothing says I love you better than waffles and coffee on a chilly winter morning! Oh, Buddy, if you’re in love with a Taurus you better get ready to do some seriously classy and romantic stuff for them. You look confused, don’t worry, Taurus can seem like a tough cookie on the outside but on the inside they tend to lean towards being a hopeless romantic! They also tend to have many pursuers so you have to show them that you are the best candidate. Invite your Taurus over for some cocktails and snacks, that’s more serious than coffee and less serious than dinner. Seduce them with your bartending skills, make ‘em something like this to start. Once you’ve got the preliminary bubbles out of the way you can move on to other things (but remember you’re trying to gain their unwavering trust, not get them shitfaced). As far as snacks are concerned you could whip up a cheese and charcuterie board. Find some fresh bread, local cheese and meat and pile it on. And don’t forget to put out a little of your homemade mustard, that’ll really impress them. If you’re in love with a Gemini, good luck, my friend. Geminis love to flirt, they love the variety and excitement of the chase. The key to seducing them is to keep that fun alive, don’t cage them in with your love! Let your love and sense of adventure bring excitement to your relationship. This valentines make them Berbere Meatballs, sautee some greens and onions and mushrooms and toss them together with the meatballs, some pasta, and a little bleu cheese. The warm subtle heat from the Berbere is enough to make anyone want to fall in love. It’s also a wildly exciting way to make meatballs. It’s sure to impress even the most wild and restless Gemini. If your potential Valentine is a Cancer, you better be playing for keeps. Most Cancers keep things close to home with a small close knit circle of friends so they may already be in your friend group. You may want to try some low key romance this February, show them you can offer them stability. So whip up two mugs of cocoa and cuddle up on the couch one or two or three nights this month. The warm reassurance of a mug of cocoa combined with a good cuddle and some good conversation will work wonders to show your Cancer cutie that you are playing for keeps and that you’re a safe bet for the future. Sit yourself down, dear, and ask yourself are you ready for drama? Cuz that’s what you’re signing up for with a Leo. It’s not all drama, the payout is great, a Leo’s loyalty and generosity can’t be beat! But this is something you’re going to have to work for because they love attention! Invite them over for brunch and go ALL OUT. This is not a drill. Make pancakes AND waffles, show them the sky is the limit and nothing is too good for them. Brunch will let them know that you’ve got all day and your willing to spend it all with them. Well, if you’ve made it far enough to be entertaining romantic thoughts about this Virgo, that could be a good sign. Virgos are tough on themselves and on those around them too. They hold themselves and others to incredibly high standards. So good luck trying not to mess this up…. even though Virgos can be a little bit scary they tend to like classic romance, so cook them up a nice juicy steak with our Espresso Steak Rub and maybe some roasted veggies and potatoes and have a lovely candlelit meal. This will show them that you are just as cool and capable as they need you to be. Oh dear, Libras are notoriously wishy washy so you had better bring your A game cuz you’re going to need to show them that YOU are their best option. Because let’s be honest, being a Libra, they probably have plenty of options and sure, you know & I know that you are the best but you have to make it a no-brainer for them. It’s quality over quantity with Libras so you can keep simple but you better do it right. Invite them over for lunch or brunch and make them a pimento cheese and fried egg sandwich (if you wanna get crazy, add a tomato and maybe something pickled). This sandwich will seal the deal. It’s simple, it’s delicious, it says “I love you, I’m your soulmate” better than any box of chocolates. First thing first, sit yourself down, friend, and think about what you want out of this relationship. Scorpios go all in, so if you’re willing to crack open their somewhat mysterious exterior for a soul full of overwhelming passion and energy, then go for it! Fix up a batch of Chai Tea and invite them over for a chat or a cuddle on the couch. The warmth of a hot cup of chai will work in your favor helping Scorpio to see that you are trustworthy and playing for keeps. Sagittarius is a bit of a wild card in the game of love. They want to find their soulmate to share in life’s great adventures but they also don’t want to be tied down. They love the thrill of the chase and are constantly looking for new and different adventures. For this reason try sautéing some shrimp and onions and peppers with Harissa and throwing them all on some cheesy creamy grits is an excellent way to feed their appetite for excitement. It’s a classic dish but the harissa adds a new twist that is delightful! I hope you have patience, you’ll probably need it dealing with a Capricorn. They are very serious and family & business come first. They get caught up with work easily, and they won’t have the time of day to pay any kind of attention to you. Never fear, take the time to make them see that you are worth the time. Make some homemade ginger marshmallows then fill up a to-go mug with hot cocoa and take it to your Capricorn cutie at work or invite them for a stroll. The warmth of the cocoa combined with the thoughtfulness of a homemade marshmallow will surely bring out their playful side and hopefully open their heart to you. If you’re falling for an Aquarius, watch your step! When it comes to love they can be quite unpredictable they can go from wanting you to not wanting you in the blink of an eye!! They want love and friendship but they tend towards the unconventional & need their space and freedom. So invite them over for an afternoon snack of Chai waffles and coffee. This will be a casual encounter for sure but perhaps it will blossom into something more as you both relax as the smell of coffee and spiced waffles fills the air. I hope you’re ready for some serious romance. Pisces loves a good fantasy so you can go all out! Send those flowers, write those love letters! I recommend breakfast in bed! Avocado toast with za’atar or pumpkin pancakes for the Pisces with a sweet tooth! Then the rest of the day is yours to make the magic happen, you know what to do.